Hey, What do You Do When You Aren’t Doing the Lighting Thing? I’ve posted this sort of content before and will do so again. This is the sort of thing I cobble together from found objects, spare parts, experiments in fabrication, and other brain re-setting exercises. My center all touch-stone and tribute to the mechanical arts that compete at the Bonneville Salt Flats every year. I find these “inspirational” vivications irritating and shallow. At the risk of being pedantic, allow me to explain. 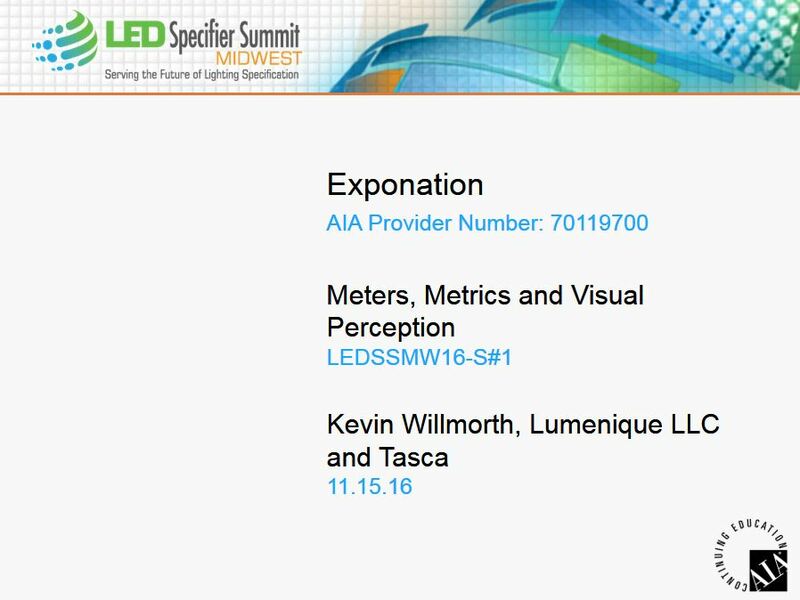 For those who attend my presentation on Metering and Meter use at the LED Specifier Summit this Tuesday (9:00AM) here is the related reference information and a copy of handouts for the presentation. Let me know what you think and post your comments or questions here. If you have any questions or wish to discuss this presentation or have a metering issue you’d like some help with, let me know. I have several fresh and brewing ideas about office lighting, putting new technology to work to make sitting in our little prisons more enjoyable and healthful. To put these ideas in context, and to consider real-world application nuance and detail, I’m collecting images of actual office spaces from anyone will to share. I don’t need great pictures, just a quick snap with a phone that shows as much of the space as possible, perhaps with the lighting visible. 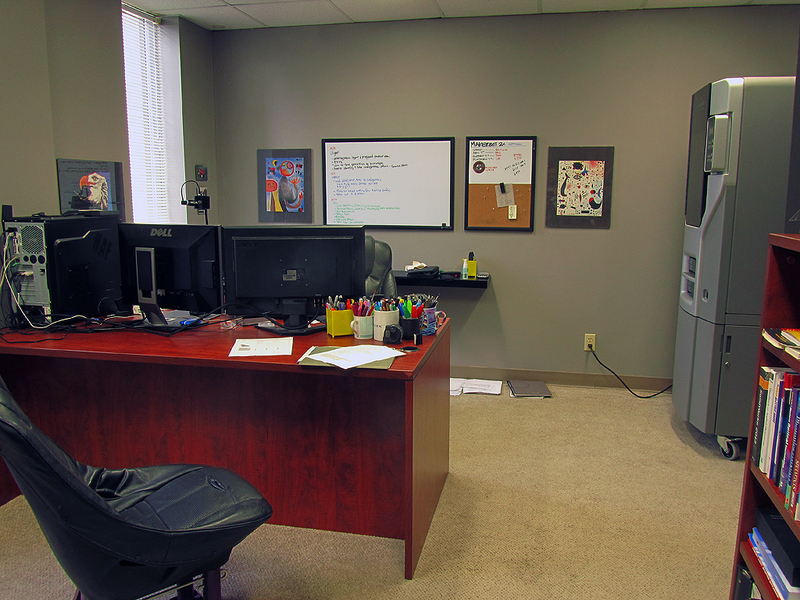 My office also houses the 3D printers. They need the clean/warm space to work best, and I like having them close. If you have a moment, include any comment you might have about what you hate about the space, and the lighting, and perhaps what you like most? The spaces don’t have to be all cleaned up and tidy, in fact, the mess tells me as much as the arrangement. I promise the images will go no further than a folder on my hard drive for reference in creating illustrations of model spaces within which I will be laying out alternative approaches and lighting products that might be applied. You can do this all in less than a minute with a smart phone by sending me a an image to 414-241-5124, or kwillmorth@lumeniuque.com. I’ll send you a look in the future to what came from the effort, giving anyone who participates an inside peak of what I came up with and why. Thanks in advance to all that participate! We’ve been working for several months on an LED Color Viewer that is easy to use, affordable and portable for use in the office and for taking it to client offices. Well, we’ve finished it at last. The viewer contains 5 Cree CXB COB LEDs in 2700K, 3000K, 3500K, 4000K, and 5000K, each rated at 90CRI, that are selected with a simple selector switch. The viewer also includes a dimmer, so you can see the effect of light level on color. A rocker switch allows the light to be turned on and off without disturbing selector/dim settings. The viewer is easily folded up for storage and transport in an included carry case, which is padded, and includes room for the cord, as well as a pocket for taking along various color cards. 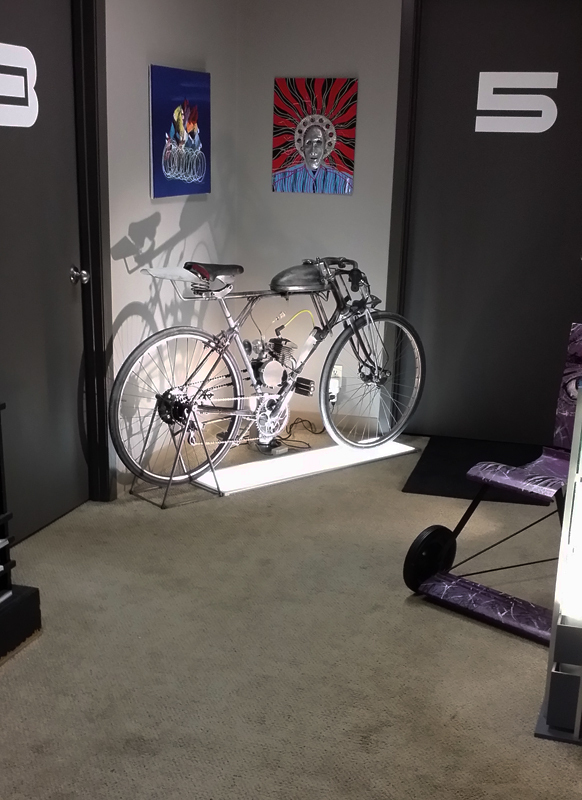 It’s a perfect companion for the samples room, as well as viewing print media by graphic designers, and study by lighting designers when making presentations to customers.